In the States I have several go to snacks. My favorites are Cheetos, tortilla chips, and celery with humus. I was just remembering how much I miss American Cheetos when I saw these products at my convenience store. 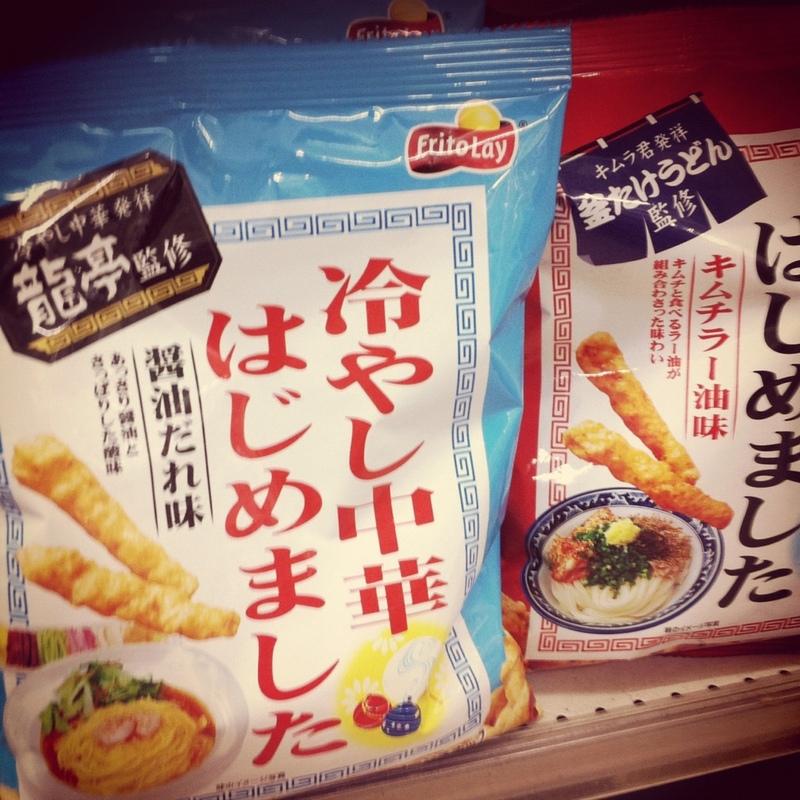 The blue bag is a ‘cold Chinese noodle’ flavor while the red bag is kimchi flavor. Both are decent, no cheese involved as in the States, yet they still keep the shape and texture. Below, the flavor is cheese and fish roe, or fish eggs. Interesting combination, I have not tried these yet. The last snack bag I found interesting is a combination. 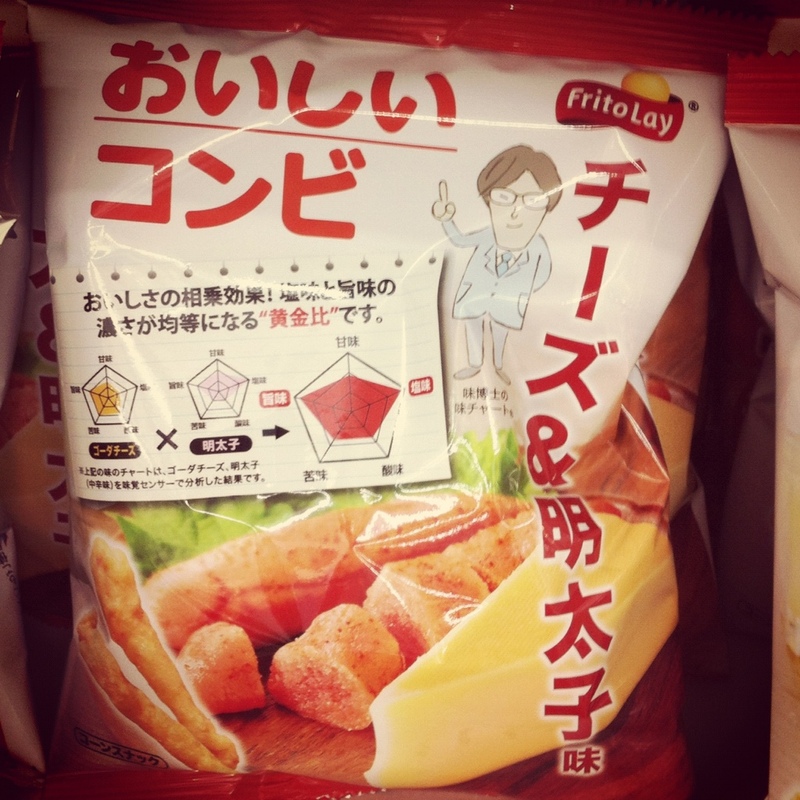 The sun chip looking piece on the left of the bag is yakiniku (grilled meat) flavor while the right hand tater looking piece is grilled guts, or innards. I tasted both. 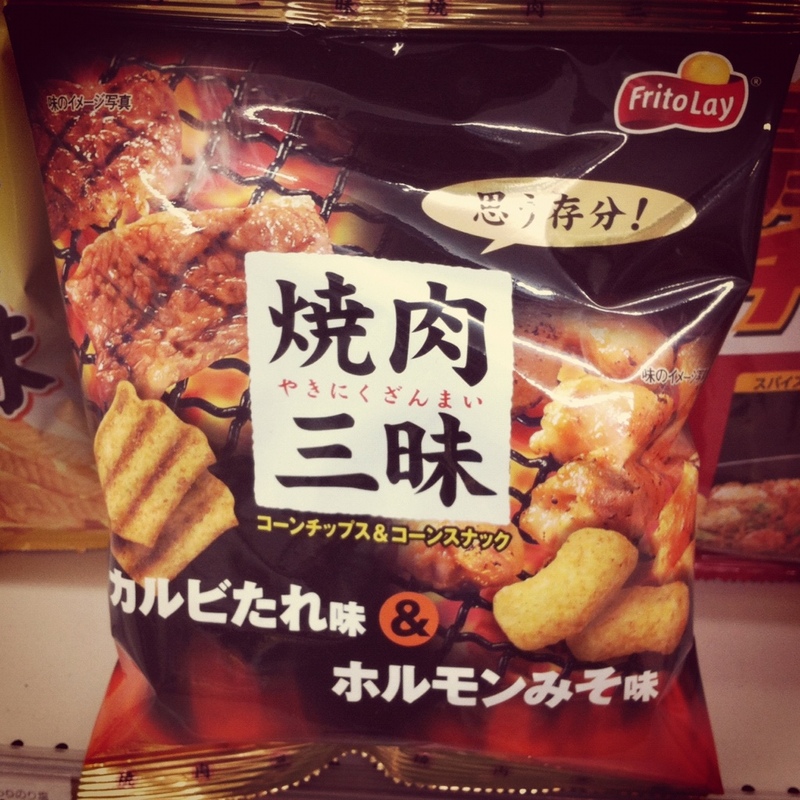 The meat is really salty with a strong flavor, but the gut piece is a strange taste. I can’t really put it into words. I suppose you’ll have to visit to Japan and have a taste for yourself!